Augusta Scattergood successfully transports her readers to the summer of 1964, Hanging Moss Mississippi. You can feel the heaviness in the air as the ignorance and tension of hatred blends with the humid temperatures of summer creating an explosive mix. In the Author’s Notes Ms. Scattergood explains that her experience working in the Mississippi Delta as a college student during that era had inspired her to write Glory Be. Her knowledge and respect of the culture come through with her spot on word choices which, although they are simple perfectly reflect the region and time of the story. Glory is excited for her twelfth birthday which she is planning on celebrating at the public pool. New people have arrived in town; they’ve come to work towards achieving equal rights for “colored people.” Many community members want the new arrivals banished. They see no reason for things to change and they feel that the new comers are simply trouble makers. Glory doesn’t get too involved in the deeper social matters, she wants to know why the pool will be closed until further notice. What she learns is that the battle to end segregation is being waged in her town. Glory lives with her sister, Jesslyn and her Father, the town preacher. Arguably the most impactful person in Glory’s life is the family maid and cook, a colored woman named Emma, who offers Glory encouragement, love and wisdom. 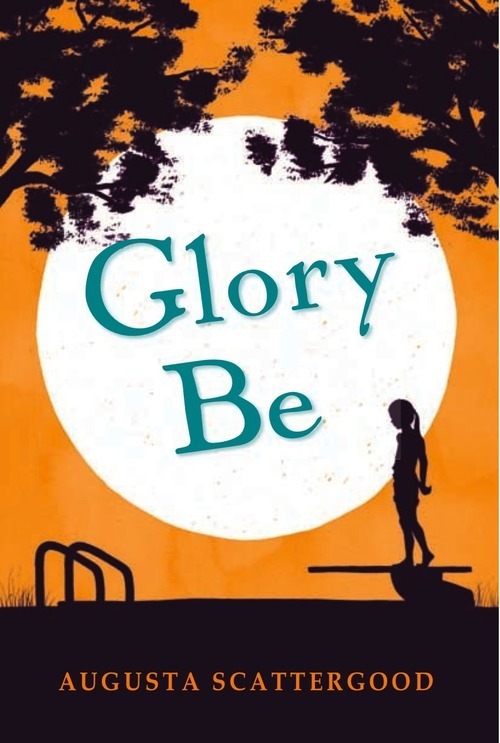 Glory Be is a beautifully written, accessible historical novel. It would be a perfect addition to the curriculum for teachers in history studying the Jim Crow laws, or for writing teachers as an example of an author successfully showing a sense of location and time as a central character in a book. This is considered a middle grade read (Ages 9-12, Grades 4-7) but would still be of interest and use for readers through high school.